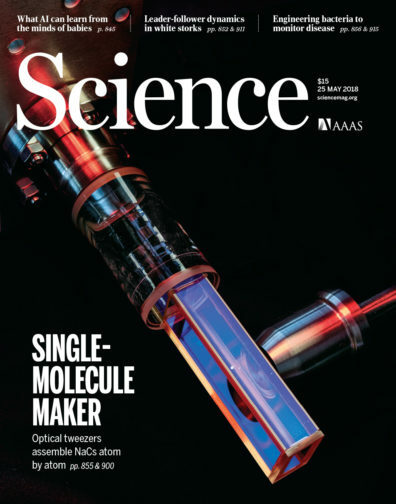 Cover used with permission from AAAS. 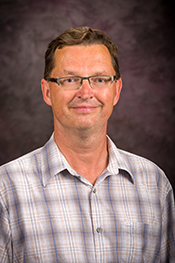 A Washington State University researcher is part of a team that produced a high-level review for the prestigious journal Science summarizing the state of the art in chemically activating nitrogen. Chemical activation is the manipulation of a substance to make it more likely to undergo a specific chemical reaction. The most common application of nitrogen activation is the synthesis of ammonia, a chemical widely used in fertilizers. The article also reviews advances in ammonia production for fertilizer that might someday move away from fossil fuels. “We could make a case that the mass production of ammonia is the greatest human achievement of the last 200 years,” said Peter Pfromm, a professor in the Gene and Linda Voiland School of Chemical Engineering and Bioengineering and a co-author on the study. Only about half the people living right now would be alive without the widespread use of ammonia as fertilizer, he said. Manufacturers create the chemical using the Haber-Bosch process, which was invented in the early 20th century. The process is inherently energy-intensive and requires high temperatures and pressure. While it is very efficient, it relies on natural gas, a fossil fuel, which creates significant carbon dioxide emissions. The price of natural gas is highly volatile, which impacts the cost of ammonia fertilizer and the cost of food. Science commissioned the review because of interest in ammonia not only as a fertilizer but also increasingly as an “energy vector,” a substance that enables energy to be carried and converted into other forms of energy. In particular, ammonia is being seen as a way to safely store and transport hydrogen. Hydrogen is considered a possible key to the clean energy economy because it does not produce the carbon dioxide emissions that fossil fuels do. Pfromm hopes to enable small-scale production of ammonia in developing countries in Asia and Africa using renewable sources like wind energy. In the review, the scientists considered, among other things, the possibility of using of water instead of natural gas in ammonia production. They also looked at various methods for nitrogen activation including enzymatic, electrochemical, plasma-driven and the chemical looping approach that Pfromm is working on. The authors of the paper were assembled by the Catalysis Science program, part of the Basic Energy Sciences program of the Department of Energy. Pfromm co-authored the paper with scientists from a number of institutions, including Yale University, Northwestern University and the Massachusetts Institute of Technology. The authors also included a Nobel prize winner and a member of the National Academy of Sciences.